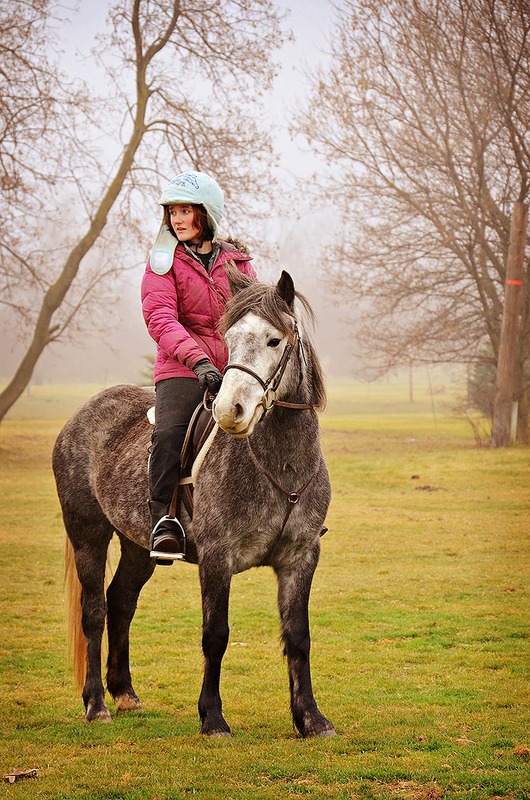 Kay riding Duchess on a foggy afternoon last December. Taken with my new Nikon D7000. That camera takes really beautiful pictures. Your daughter should be a model.